If your doctor did not properly diagnose your throat cancer or diagnosed it after an unacceptable delay, you may have grounds for a medical malpractice case leading to compensation. Throat cancer occurs in your throat, voice box, or tonsils. It is more treatable the earlier you catch it. If you went to your doctor with symptoms commonly associated with throat cancer, your doctor did not make the correct diagnosis, and you suffered harm because of your doctor’s error, you could have grounds for a medical malpractice lawsuit. A throat cancer misdiagnosis lawyer from Newsome Melton may be able to help you recover compensation. Our accomplished legal team represents victims of medical malpractice and helps them recover the damages they deserve. We want to hear from you. We offer a free, no-risk case evaluation to find out how we can help you. Call our office at 855-633-2757. You can increase your chances of a full recovery from throat cancer by identifying the problem early and beginning treatment. But for this to happen, you need a diligent doctor who knows what to look for and can make the proper diagnosis. Without this, you risk a delayed diagnosis, which increases the chance of complications. In some cases, the difference between an early and a delayed diagnosis can mean life or death. To make a proper diagnosis, your doctor must know the symptoms of throat cancer and when to order further testing to screen for the disease. Your doctor should also understand what risk factors heighten your chances of developing throat cancer. Multiple symptoms combined with one or more risk factors are often a giveaway that something is significantly wrong. Most of these symptoms have more than one possible cause. That is still no excuse for your doctor to make a misdiagnosis. It is their job to order testing to rule out various causes until your condition is correctly identified. 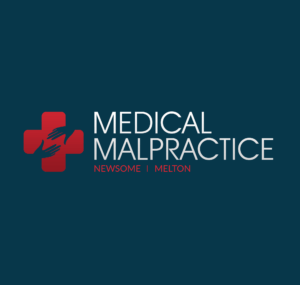 A Newsome Melton lawyer can hold your doctor accountable for negligence. At the time you went to the doctor, you might not have known about these risk factors, but your doctor should have. And your doctor should have conducted a full medical and family history to determine if you have risk factors for throat cancer or any other serious diseases. For a doctor not to do this is to potentially abdicate their duty of care to the patient. The first condition we must satisfy is establishing that your doctor had a duty of care to you. This is usually the most straightforward piece of a medical malpractice case. In any doctor-patient relationship, a duty of care is implied. Thus, as long as we can show that you were an active patient of your doctor, we can show a duty of care. Second, we have to show that your doctor breached their duty of care. We show this by comparing your doctor’s actions to those of a reasonable doctor in the same situation. We can bring in medical experts to serve as witnesses and act as a reasonable person. The expert witness reviews the evidence, puts himself or herself into the shoes of the doctor, and testifies as to whether a reasonable doctor would have made the correct diagnosis. Third, we must show you suffered injury or harm because of your doctor’s failure to uphold their duty of care. If your cancer spread to other areas of the body, for instance, we can put together a compelling argument that it would not have done so if your doctor had made the proper diagnosis and started treatment. Fourth, and last, we have to tie your injuries to specific economic or non-economic damages you incurred. Economic damages include actual financial losses such as medical bills, lost wages, and reduced earning capacity. Non-economic damages include things such as pain and suffering, emotional anguish, and physical scarring and disfigurement. You deserve compensation for the harm you suffered because of your doctor’s negligent failure to diagnose your throat cancer accurately. A throat cancer misdiagnosis lawyer from Newsome Melton can help you collect this money and hold your doctor accountable. We offer a free, no-risk consultation and case evaluation.